It is not often that when you go into something with high expectations that those expectations not only get exceeded, but blown out of the water. 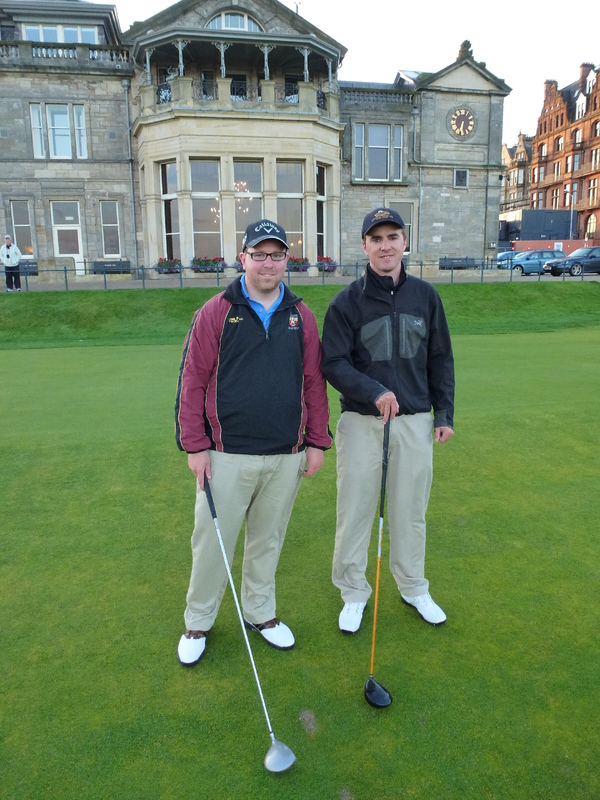 When Sean and I found out we would be playing on the Old Course at St Andrews we could hardly contain our excitement, by the time we finished the round we were wanting to play again. 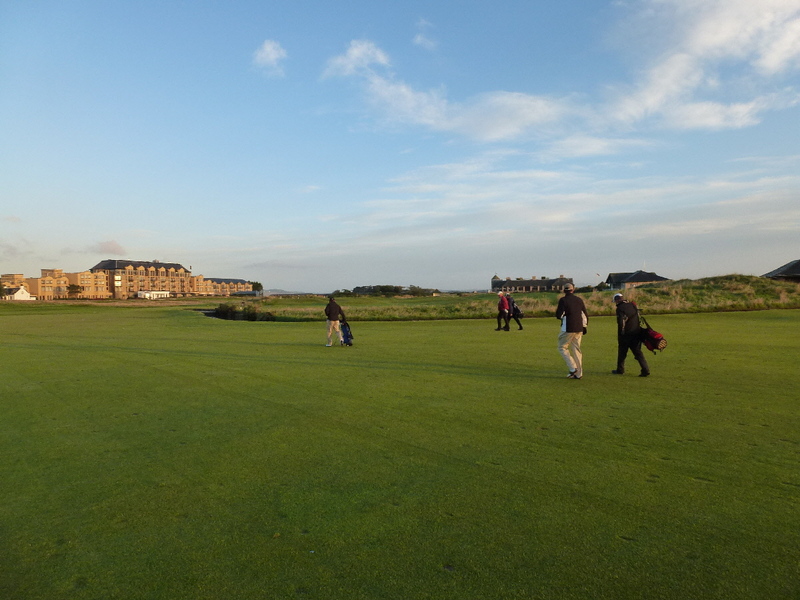 The whole experience of playing the Old Course is unique and the experience begins long before you tee off. The course is open to the public, but because tee times are so difficult to secure you must enter a 48 hour ballot and wait to hear your fate. 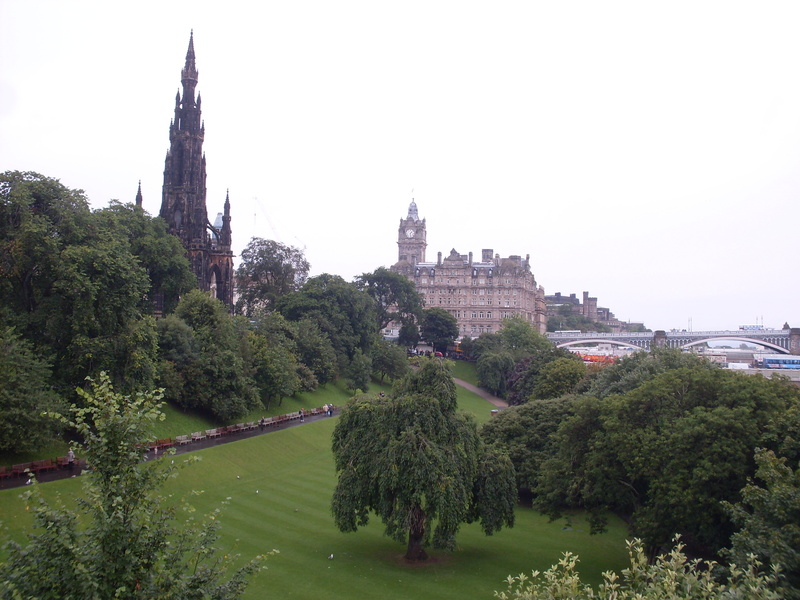 We unsuccessfully entered the ballot on Saturday when we arrived in Edinburgh, and had resigned ourselves to the fact that getting a tee time would be very fortunate. The next day we entered again and as we arrived home from golfing on Sunday afternoon we eagerly checked the list of tee times. Sure enough there we were!!! S. Akeroyd and J. Wynn Tuesday 28 August 6:30 AM. The first names on the schedule. 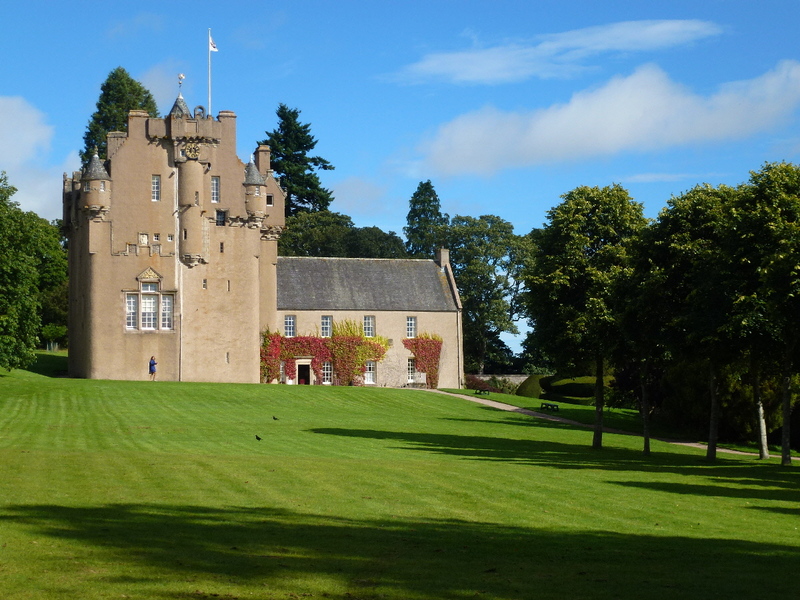 It was 3:45 AM Tuesday morning when we departed Banchory for St. Andrews, it felt much more like going to an early morning hockey practice in Canada as we loaded the car with our big bags in the chilly morning air. Armed with every map we could find we made the 2.5 hour trek to St. Andrews arriving there just as the sun began to rise at 5:30 AM. 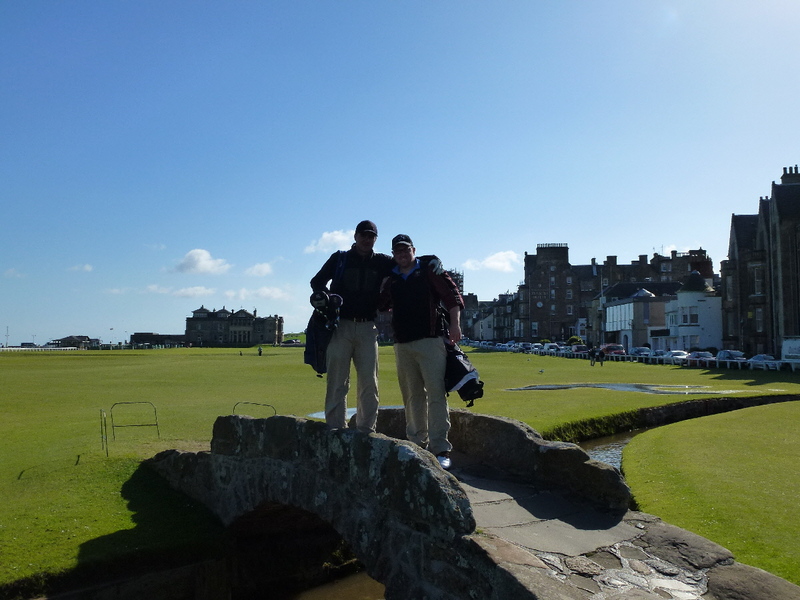 As we pulled up to the course all the memories of watching past Open Championships and playing EA Sports golf games were going through our minds as we both became quite nervous, we were about to be the first two people to tee off on the Old Course that day. 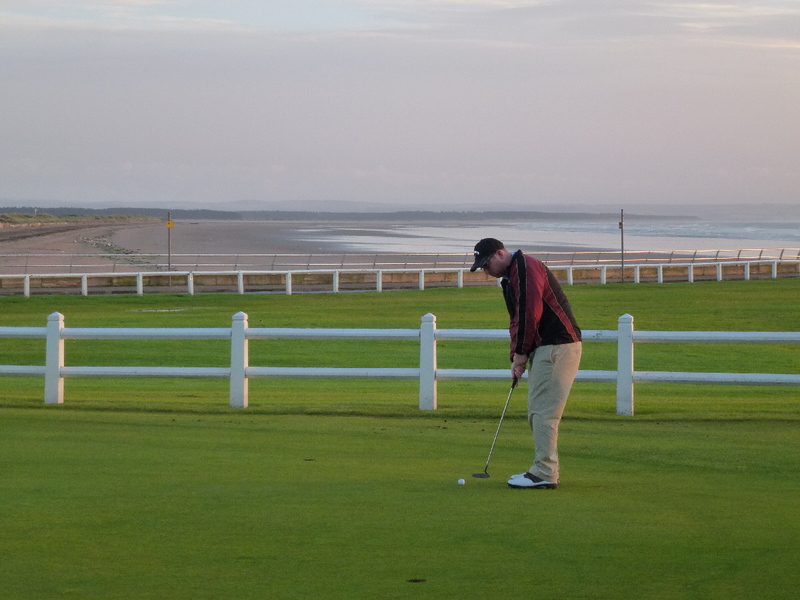 After showing the starter our handicaps were below 24 and paying our money to play we headed to the putting green to warm up and to soak in the atmosphere. 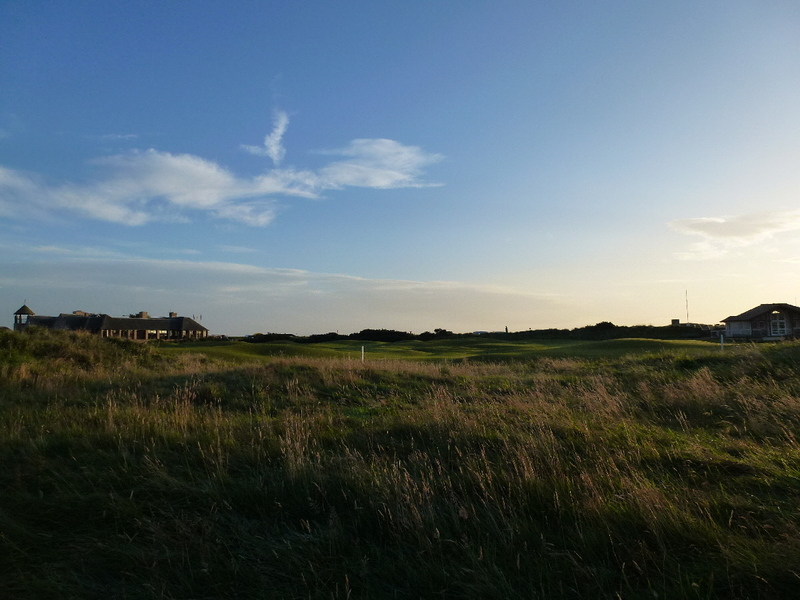 It truly does feel magical as you look around and see the Old Course Hotel in the distance and the sun rising above the water. 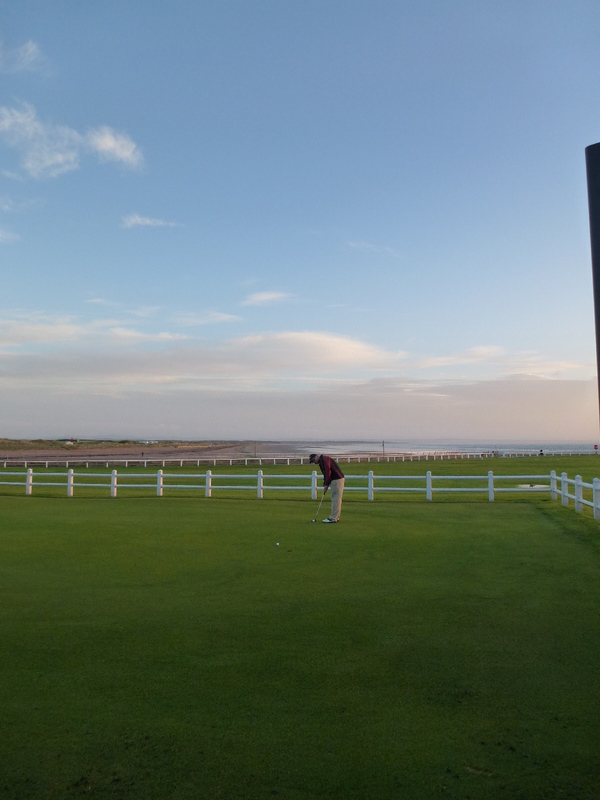 After rolling a few putts on the perfectly manicured greens, and taking a few pictures it was time to tee off. We were joined by two single players. Bob, a 60 something year old man from Florida, and Ed, a 30 something year old from Hawaii. Both of these men had been standing in a queue outside the starters hut since 3:00 AM hoping to get on the course. The ballot always leaves room for a few singles to play and these two men were lucky enough to get to the front of the line. Both Bob and Ed hired caddies to help them through their round and by the end of the first hole both Sean and I were glad to have the caddies along with us. Despite having playing partners Sean and I still got the honour of being the first two to tee off for the day. It was easily the most intimidating shot I have ever hit, thinking of all the greats that have stood on the same tee box while being watched by a number of other golfers all eagerly awaiting their chance to join us on the course. We both managed to put our drives in decent positions and were on our way, slightly more relaxed as we walked down the first fairway. The round moved very quickly, as the caddies are required to keep the pace of play as fast as they can, and the experience seemed to fly by. It was a surreal feeling playing hole after hole, recognizing landmarks from watching Tiger Woods and other greats play at the home of golf. I narrowly missed going into Hell Bunker on the 5th hole but wasn’t so lucky later on as I found myself in a pot bunker on the 8th hole. 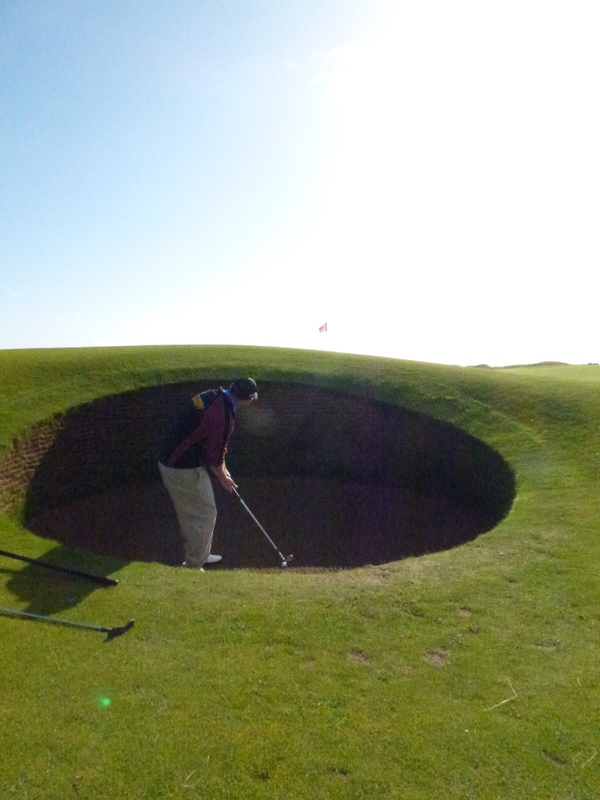 After failing at my attempt to get it out I had to play backwards out of the bunker just to salvage a respectable score! 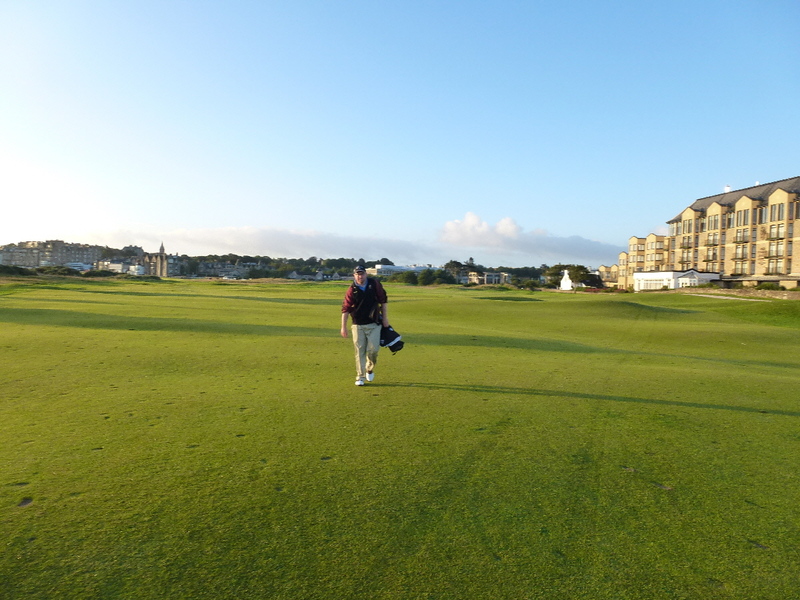 As we made the turn on to the back nine what really stuck out to both Sean and I was the deceptiveness of the Old Course. 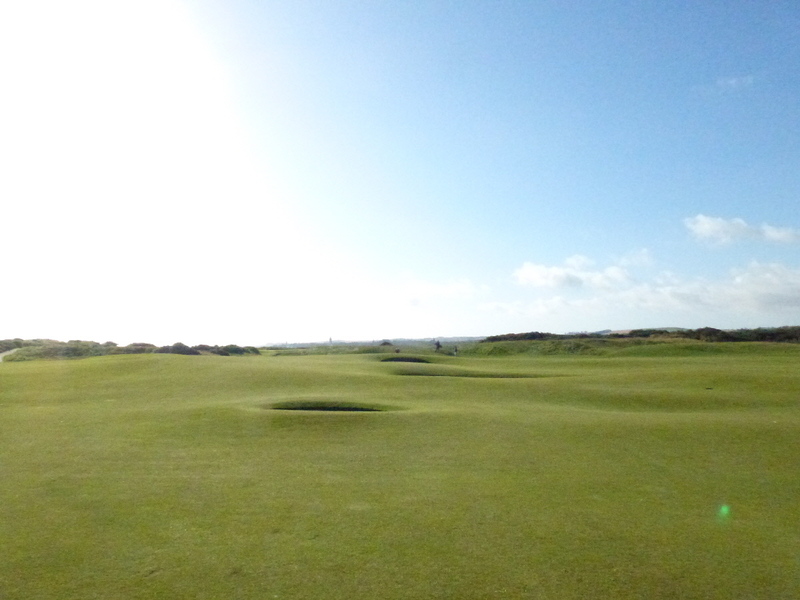 It contains 112 bunkers but from the tee box you can barely see any of them. 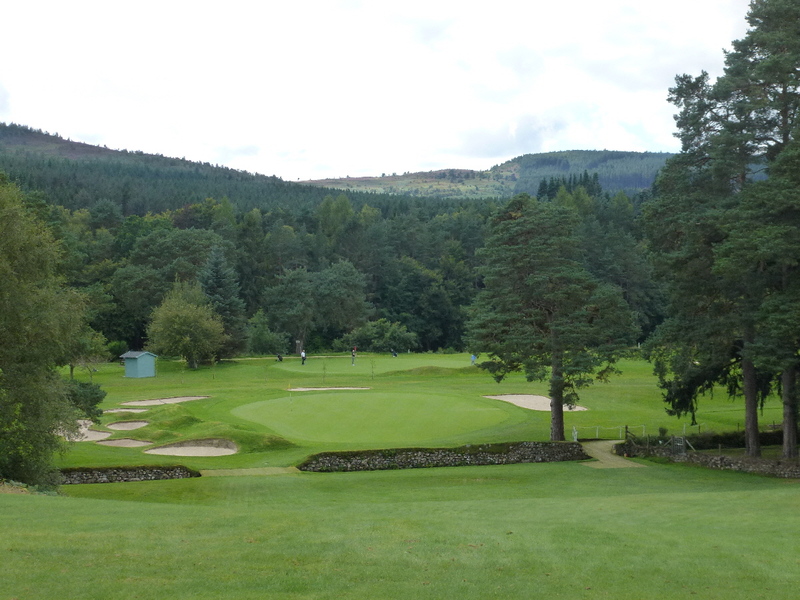 A course guide is a must, and caddies are close to essential but if you don’t make adjustments to your game and style then the course will eat you alive as it did to the legendary golfer Bobby Jones who walked off the course after 11 holes in 1921 and initially despised the course. 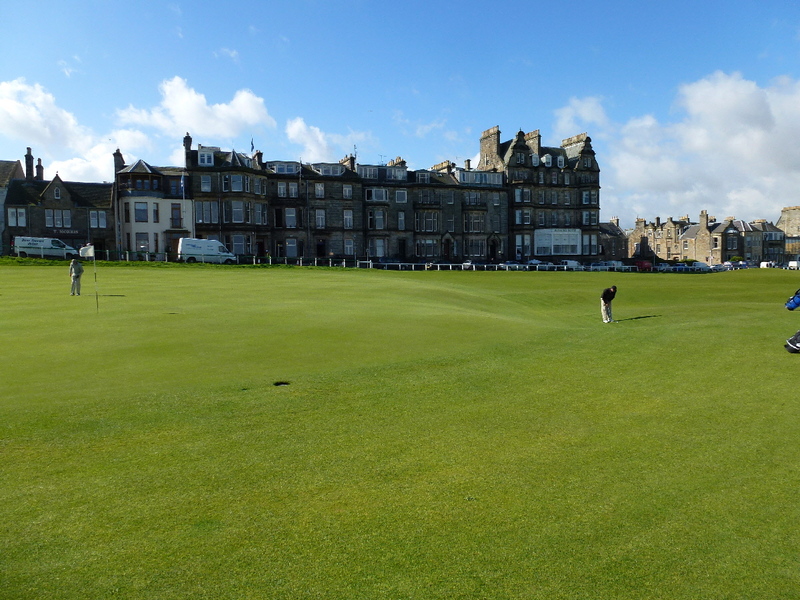 Jones later went on to say of the Old Course “the more I studied the Old Course, the more I loved it; and the more I loved it, the more I studied it”. 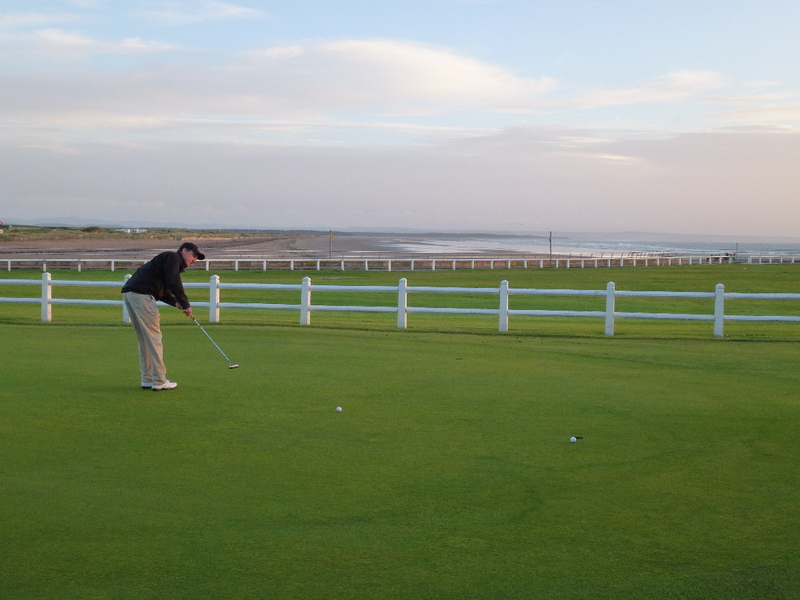 The sun continued to shine as we approached the last few holes of the day and as Sean and I began to finally relax a bit and treat it like a regular round we got talking to Willie, one of our caddies. 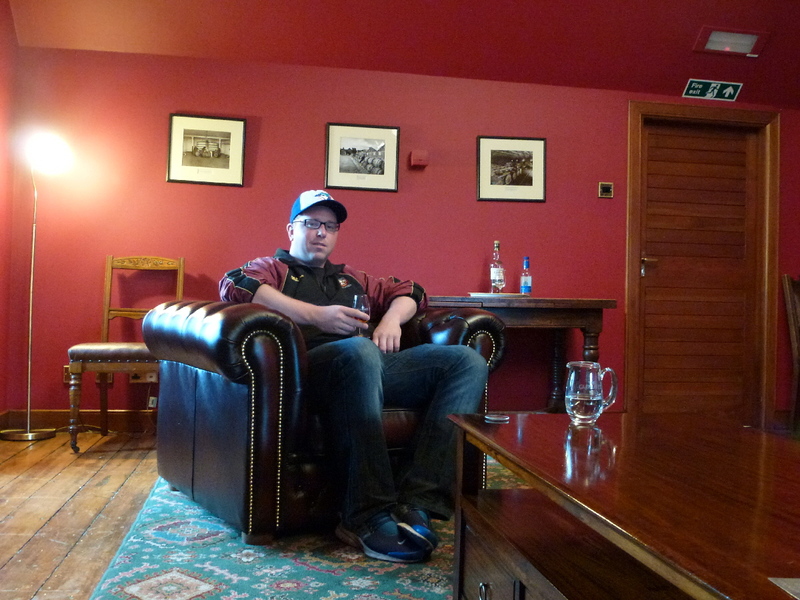 Born in Inverness, Willie had been at the Old Course for 27 years and knew it inside and out. When he found out that we were Canadian he began telling us stories of how he had caddied for Wayne Gretzky, Mario Lemieux and other hockey players. These stories made me more in awe as I had only thought about the golfers that had previously teed off there, I hadn’t even thought about the famous political figures, the celebrities and the other athletes! This was walking up the 16th fairway, making me even more nervous for where we were heading next. 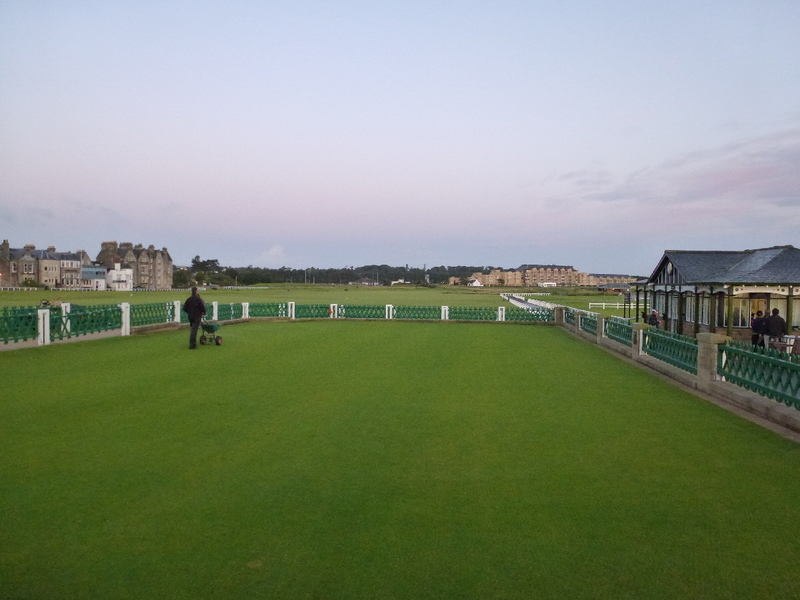 The 17th hole at St. Andrews. The most famous hole in golf. The Road Hole. We knew what to expect, but it didn’t matter. 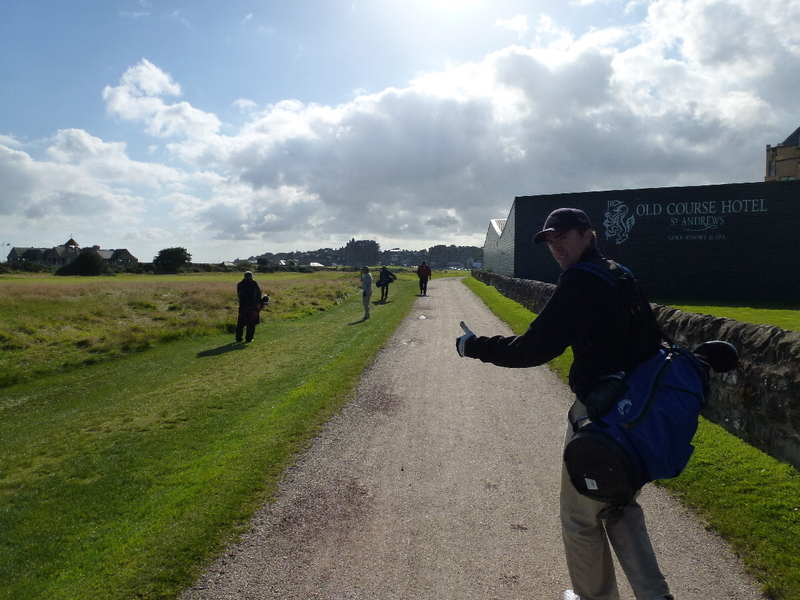 Walking up to the tee box brought back all the nerves from the first tee and it didn’t help that you can’t see where your tee shot lands as you have to go around the Old Course Hotel, or in Sean’s case over it. All four of us managed to find the fairway and as we walked towards our approach shots we saw our first glimpse of the Road Hole bunker. Three of us managed to avoid the bunker, Ed hit his approach directly into it. 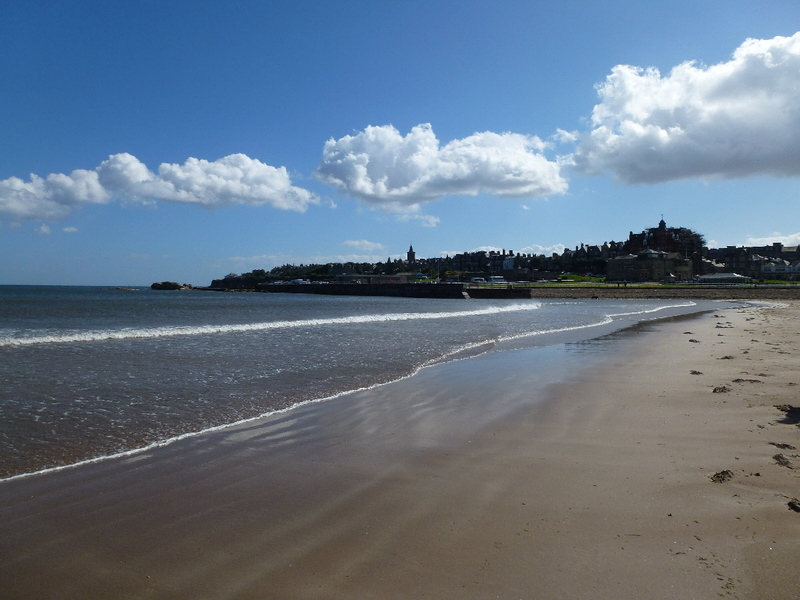 After a quick bite to eat we took a tour around St Andrews and went for a walk along the West Sands beach, where the famous scene in Chariots of Fire was filmed. 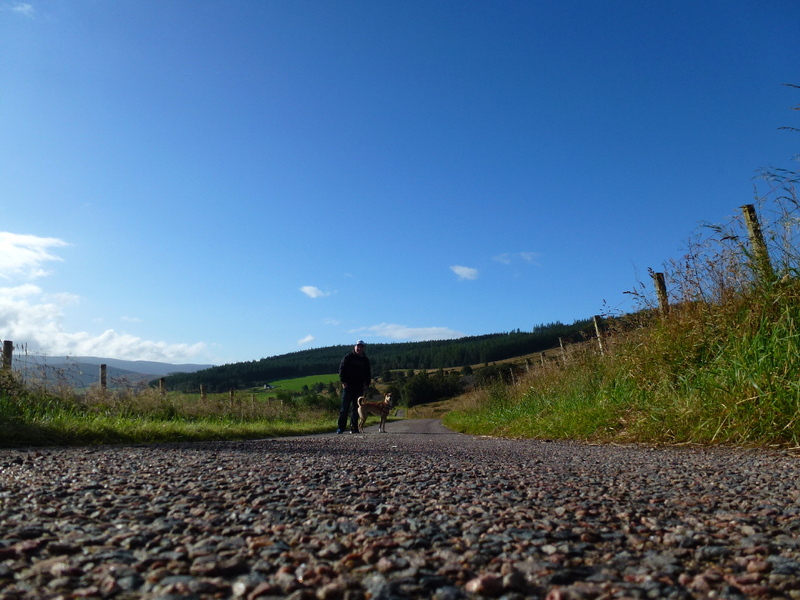 It was then back in the car and back to Banchory. It truly was a magical day at the home of golf and its hard to believe that the Old Course was one of the first courses ever designed. I have yet to see anyone design a better course after all these years. The creativity needed and the all around test it gives every golfer is like nowhere else I’ve ever played. 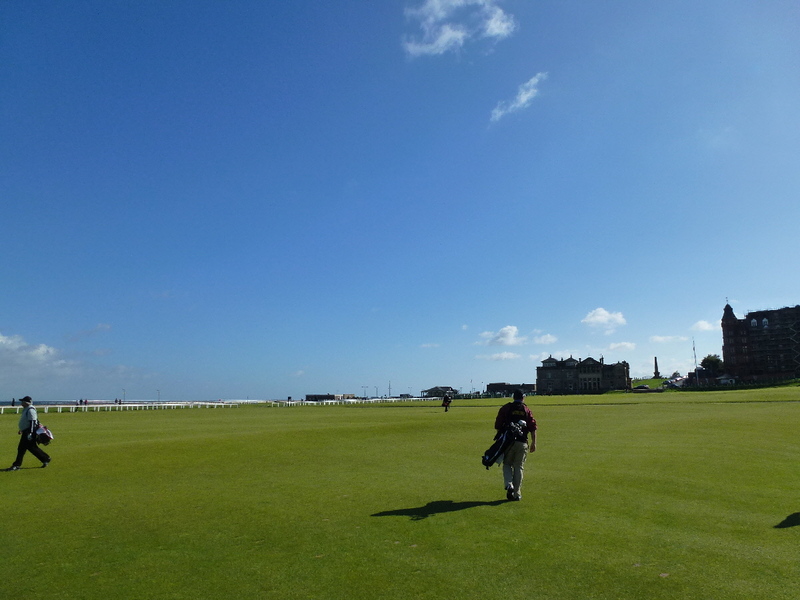 I hope one day that I get the opportunity to play the Old Course again, but I consider myself incredibly lucky to have had the chance to do it once. 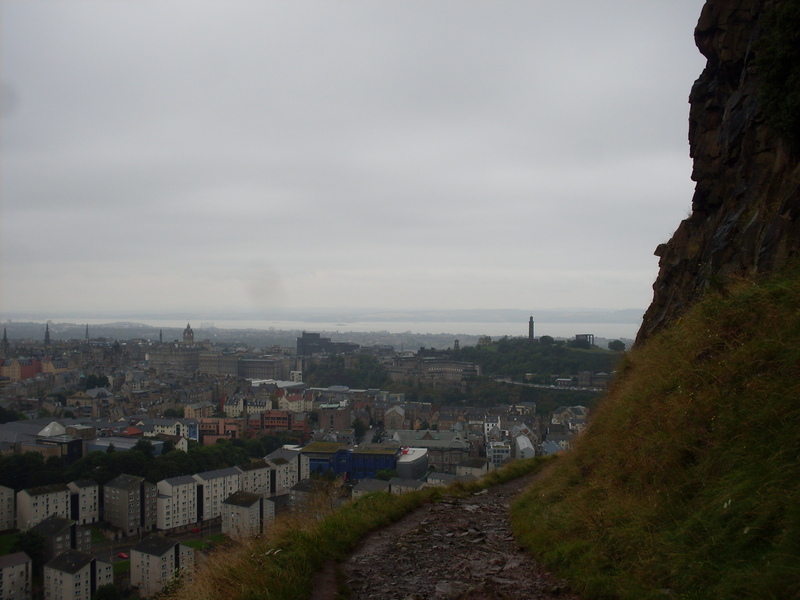 It was 2:00 PM on Saturday August 25th, I was tired from taking the overnight train from London to Edinburgh, my friend Sean even more exhausted after flying from Vancouver only 48 hours earlier and joining me on the train. 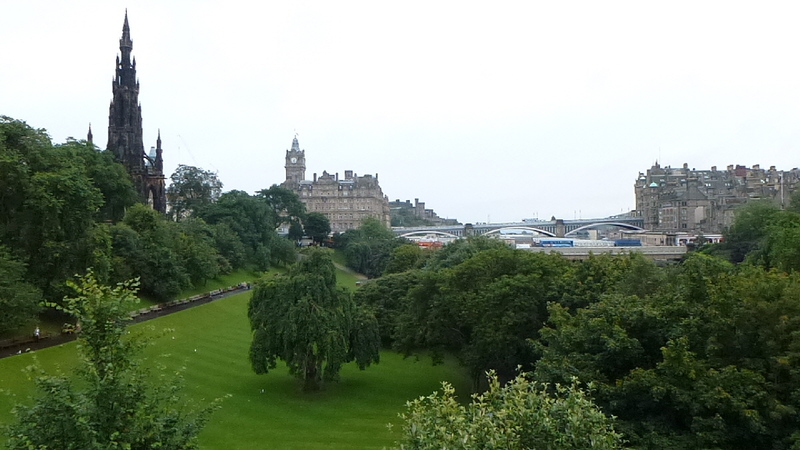 We were walking around the beautiful city of Edinburgh but fading fast, agonizingly waiting until 3:00 PM when we could pick up our rental car. We decided the best way to do this was to get ourselves a mid afternoon snack and coffee at a local cafe just down the road from St. Mary`s Cathedral. As we sat down I noticed one of the men sitting next to us looked oddly familiar. 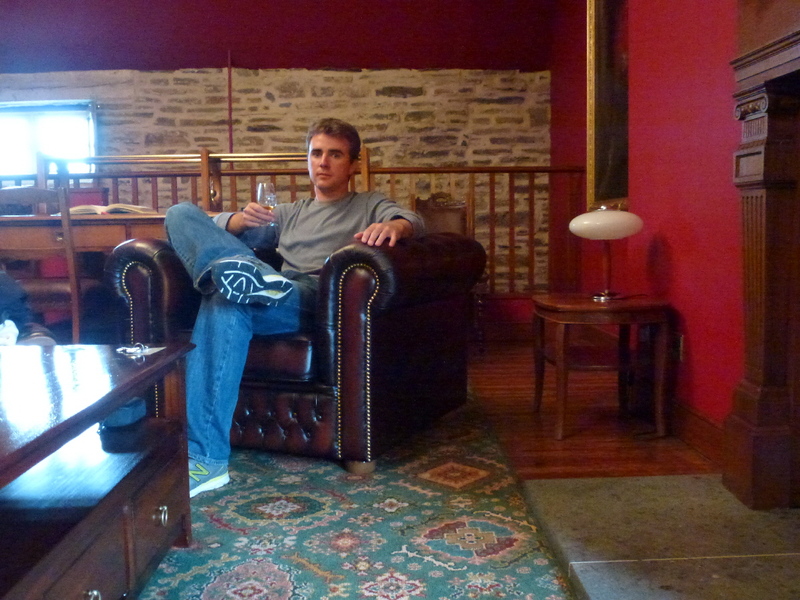 After checking with Sean, we realized that this man was none other than David Hasselhoff, in town for the Edinburgh fringe festival and regaling his friends with stories of Baywatch and appearing on Johnny Carson`s show. 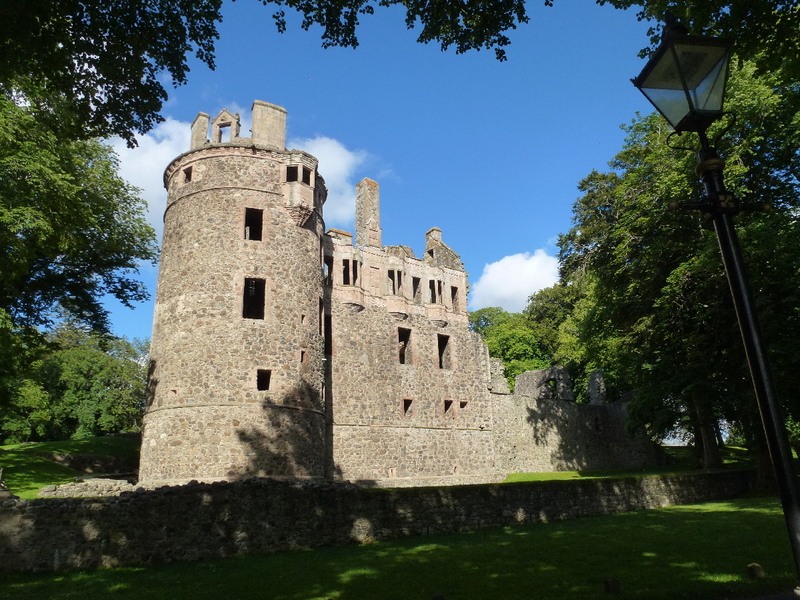 Quite a celebrity encounter, but it wouldn`t be the most famous person we saw on our journey to the north of Britain, I`ll save that story for later on in this post. 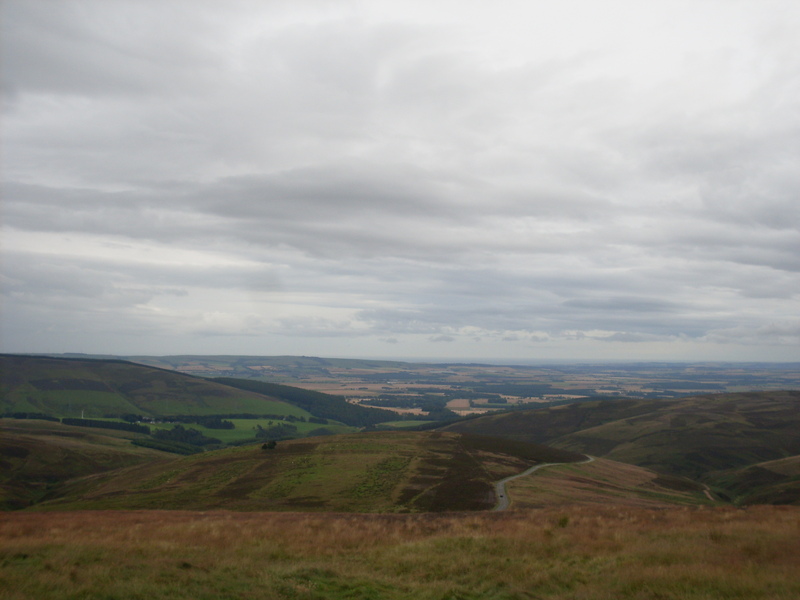 After our day in Edinburgh we were able to get our rental car and begin our three hour trek through the north east of Scotland to Banchory, where Sean`s sister Nicole lives with her boyfriend Mike. 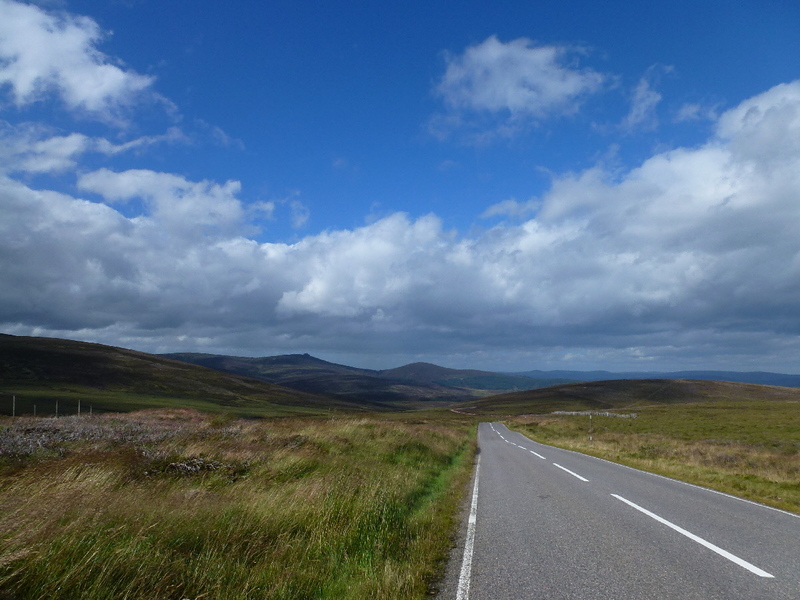 As we were driving up to the A90 and through the country roads we anticipated that Banchory would be our base and from there we could drive all over the north of Scotland on a road trip. 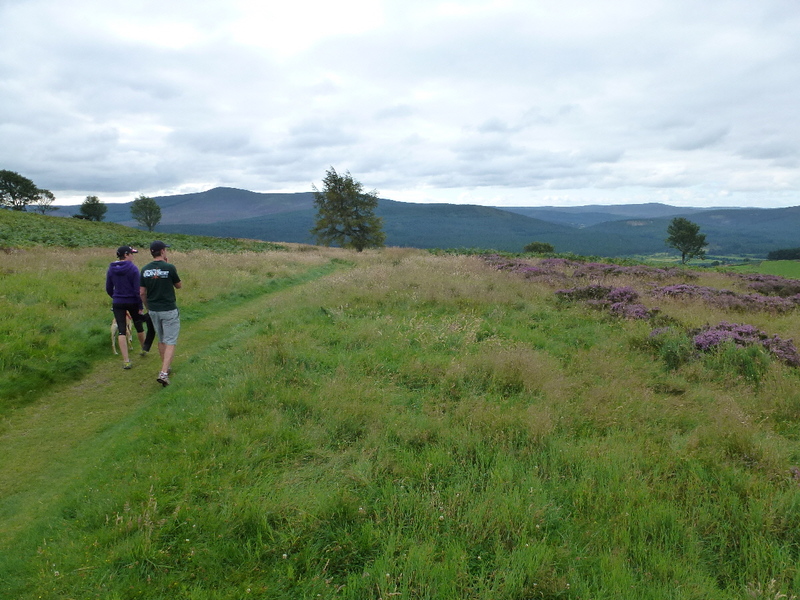 This was our plan, but upon our arrival that plan quickly changed as we fell in love with the area and didn`t want to leave! 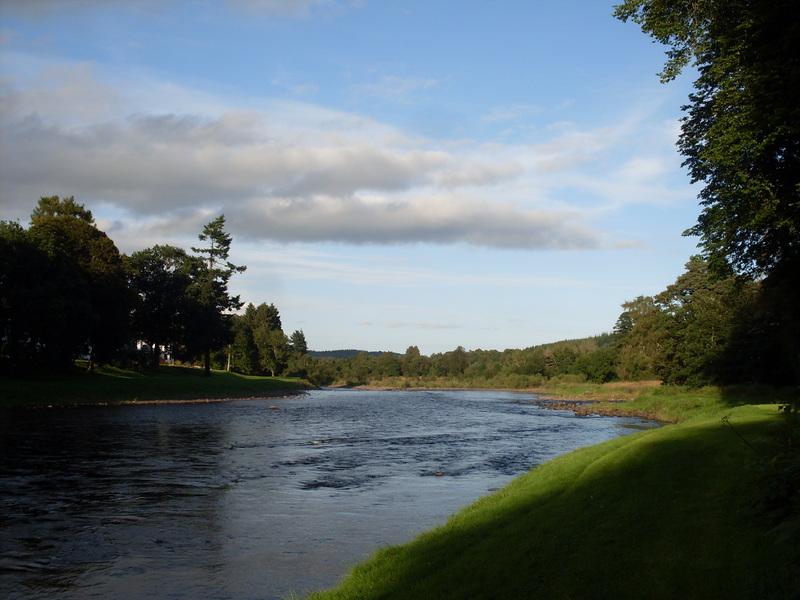 Located about 18 miles southwest of Aberdeen, along the River Dee, Banchory is a small but very beautiful town overlooking the famous Scottish countryside and far enough out of Aberdeen that it is much more peaceful and relaxing than the city lifestyle I have grown accustomed to this past year. 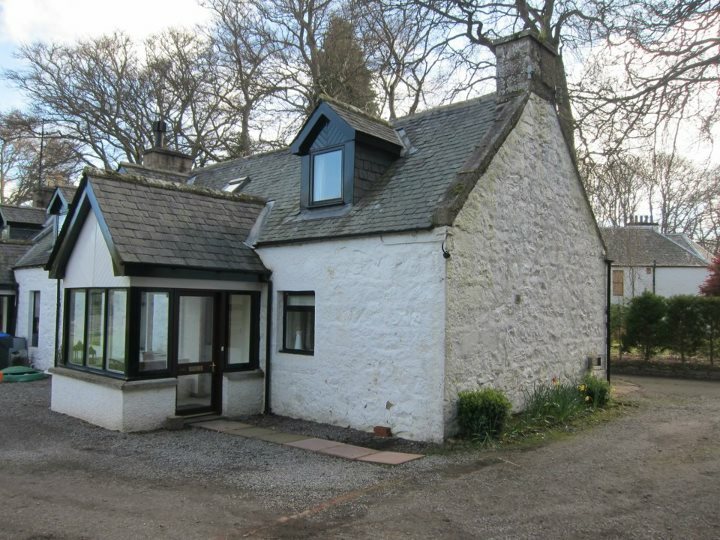 Our accomodation was Nicole and Mike`s angelic Riverstone Coach House, which allowed us a great base and saved us the hassle of finding accomodation every night. 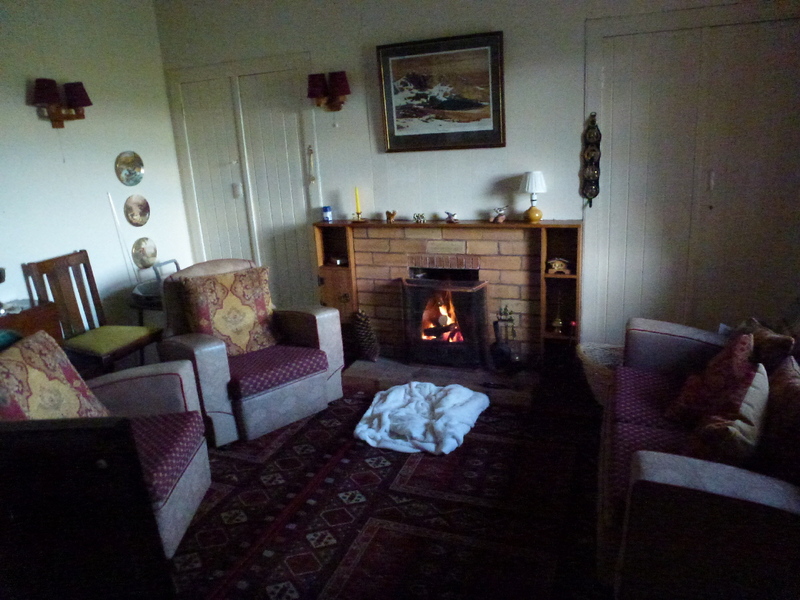 Mike, who unfortunately was away for work, left us a very detailed welcome package about the area and had prepared notes about all the local golf courses, something we were very keen to check out. Mike`s parents live within 2 minutes walk of the coach house and were very gracious in having us over a couple of times for drinks and dinner. 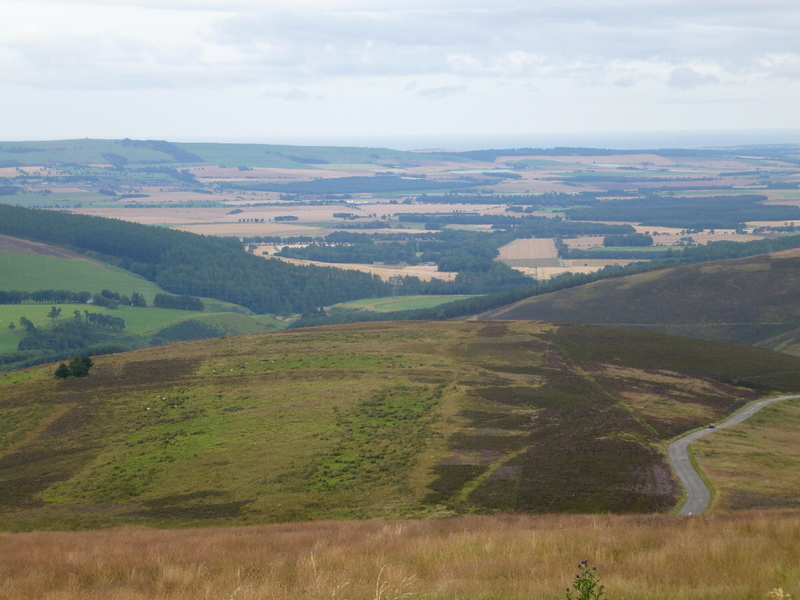 Sean and I spent much of our time in Aberdeenshire playing golf. 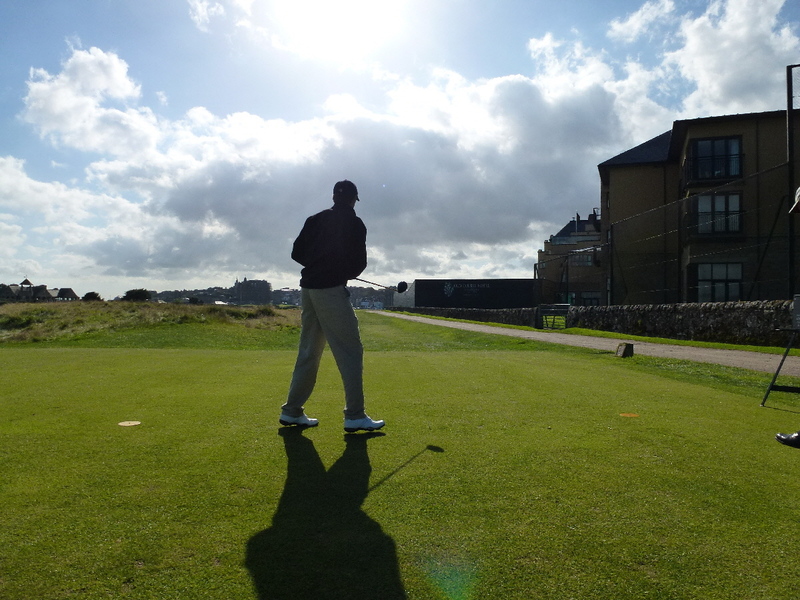 Living in London has had a dramatic effect on my golfing opportunities so personally I was very excited to get back out on the links, especially in the home of golf! 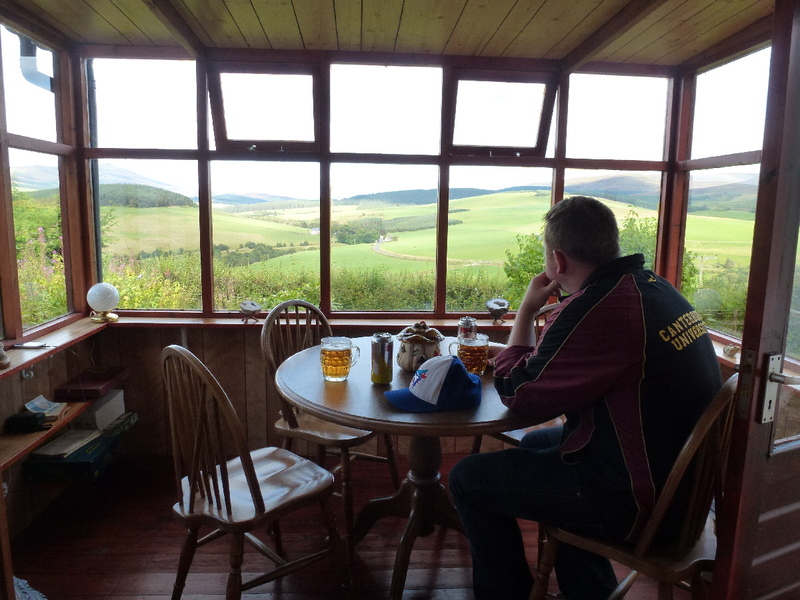 What Sean and I were really hoping for however was a true Scottish experience on the golf course. 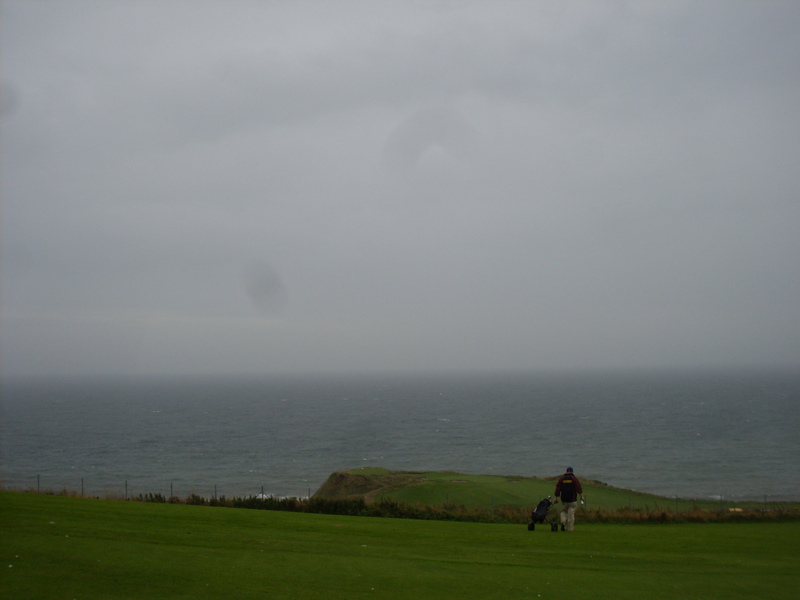 We were `lucky` enough to get this as we teed off at Stonehaven in 35 mile/hour winds and sideways rain. 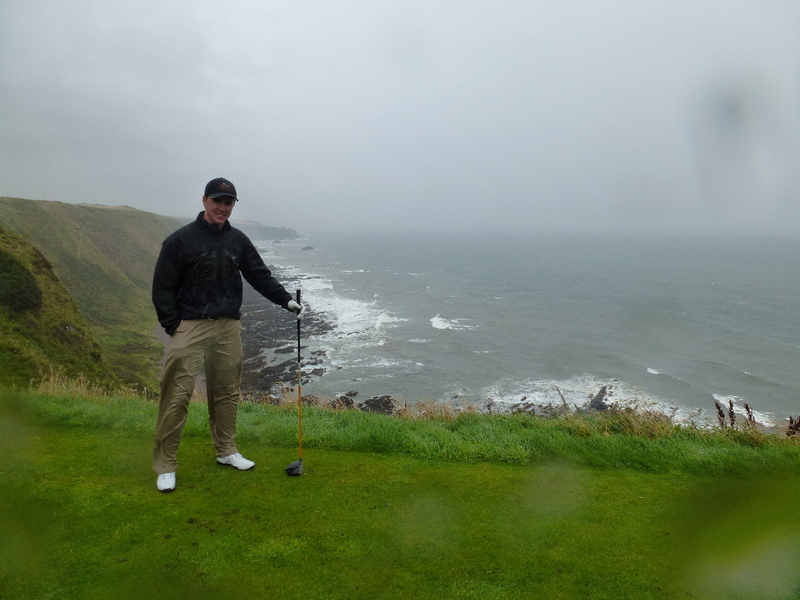 It was easily the wettest round of my life (and thats saying something being from Vancouver!) 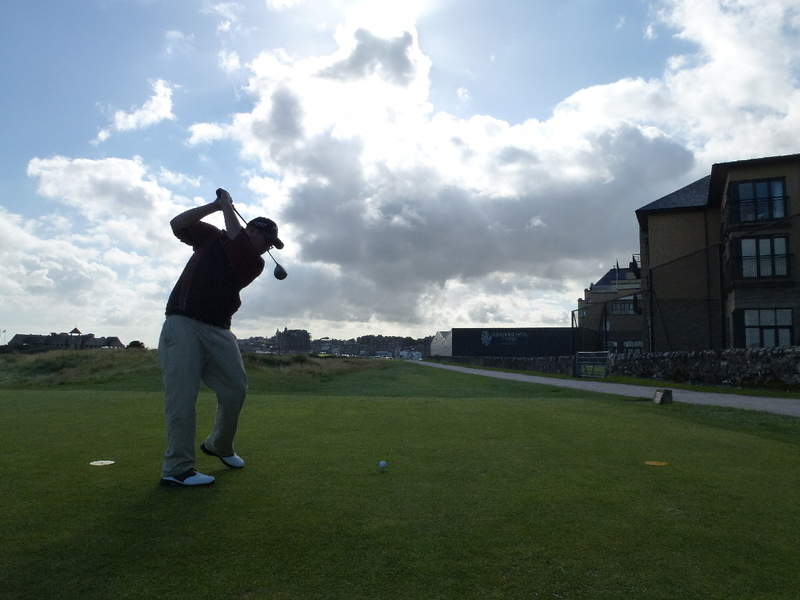 but it was exactly what we had wished for and it did feel a bit like playing in The Open Championship. 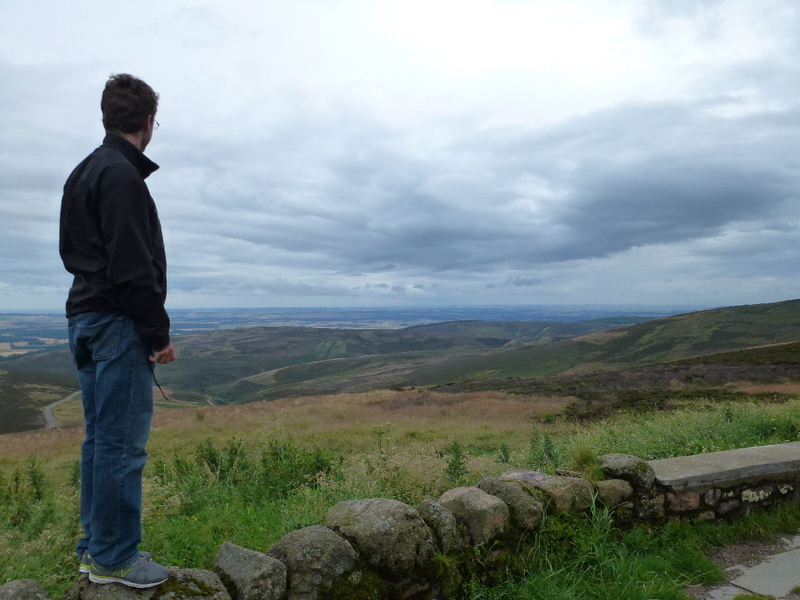 Despite knowing Sean since I was about 5 years old I learned something about him on this trip. 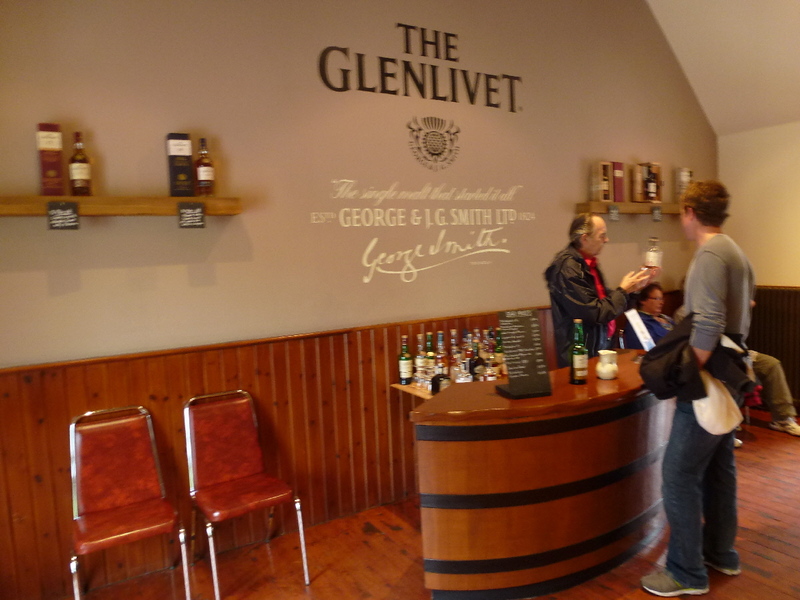 He is very knowledgable when it comes to Scotch Whiskey and this turned out to be very helpful as we explored the different regions of northeastern Scotland. 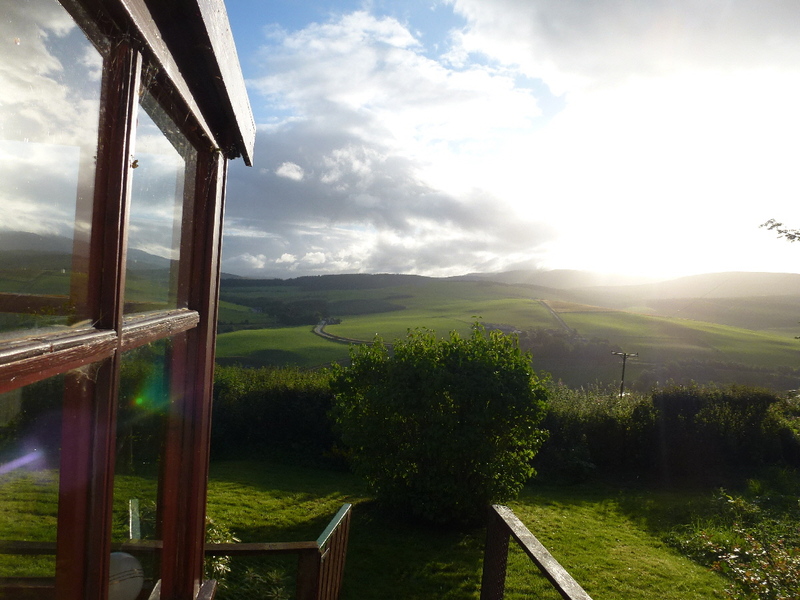 This was particularly true as we were fortunate enough to be given the keys to Mike`s quaint family cottage in Glenlivet which was walking distance from the Glenlivet whiskey distillery where a few years earlier Sean had become a guardian of the whiskey. 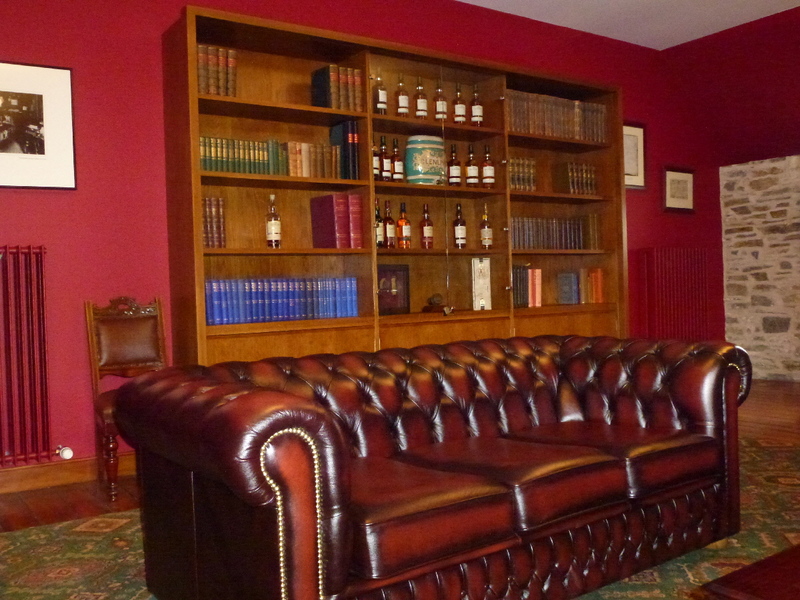 Following our tour of the distillery the guardian was allowed to take a guest up to a secret room for a glass of a 21 year old Glenlivet whiskey. 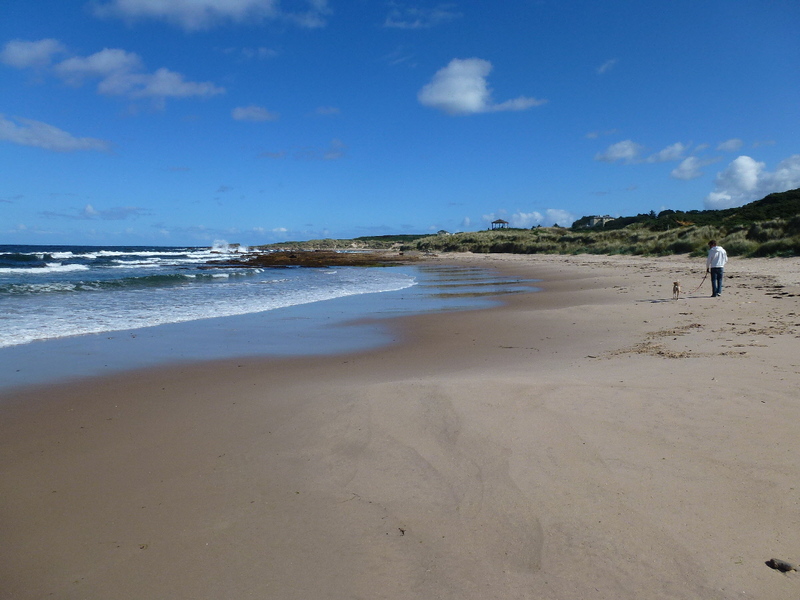 The following morning we drove back to Banchory up the stunning, but chilly northeast coast. 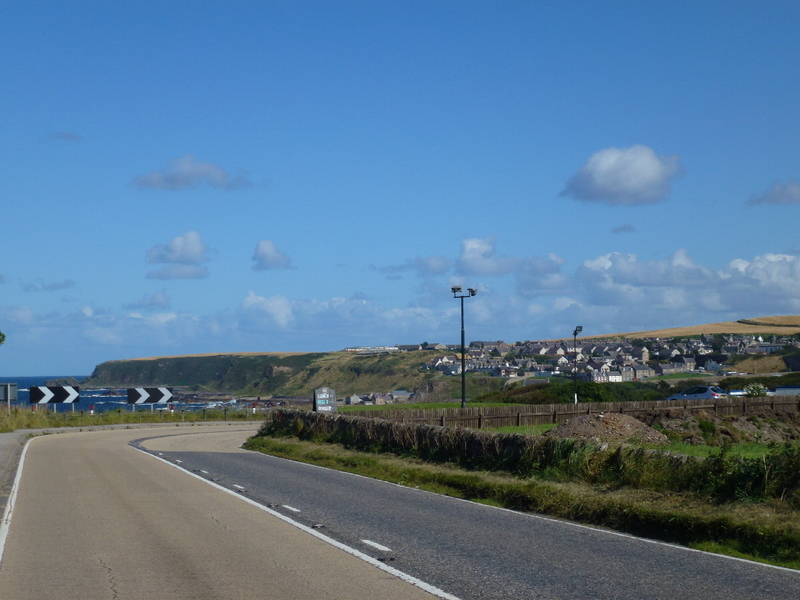 Accompanied by Nicole and Mike`s dog, Abby, we walked along the beaches of Hopeman and drove along the coastal road and back down thr0ugh the countryside. 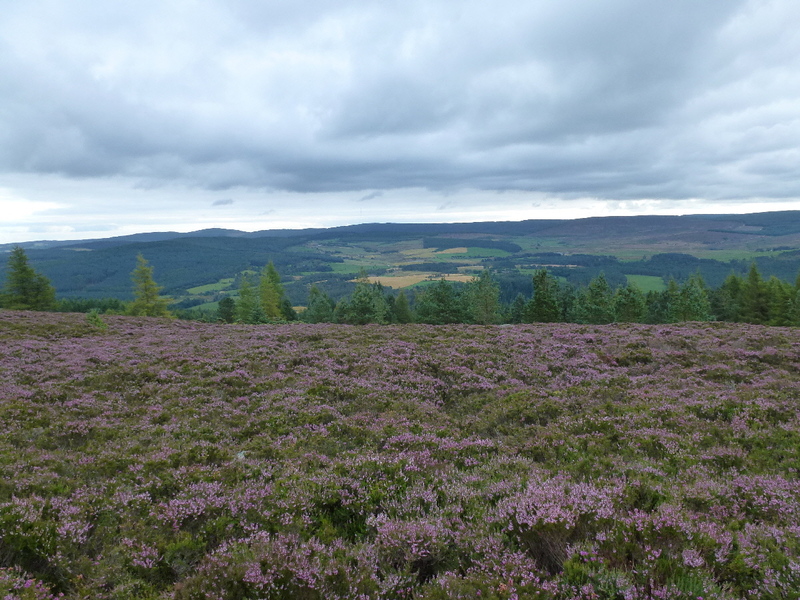 The weather cooperated and the views were simply incredible. 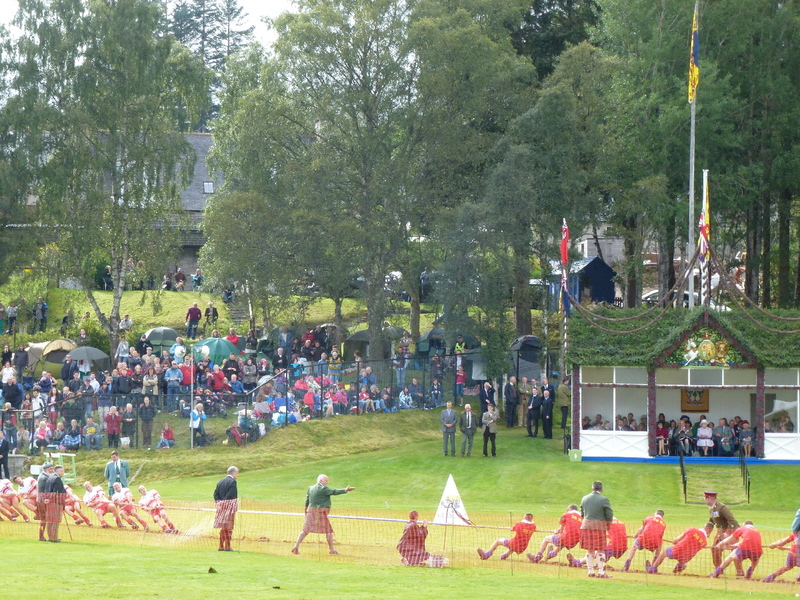 On our final full day in Scotland we wanted to make sure we did something very traditional. 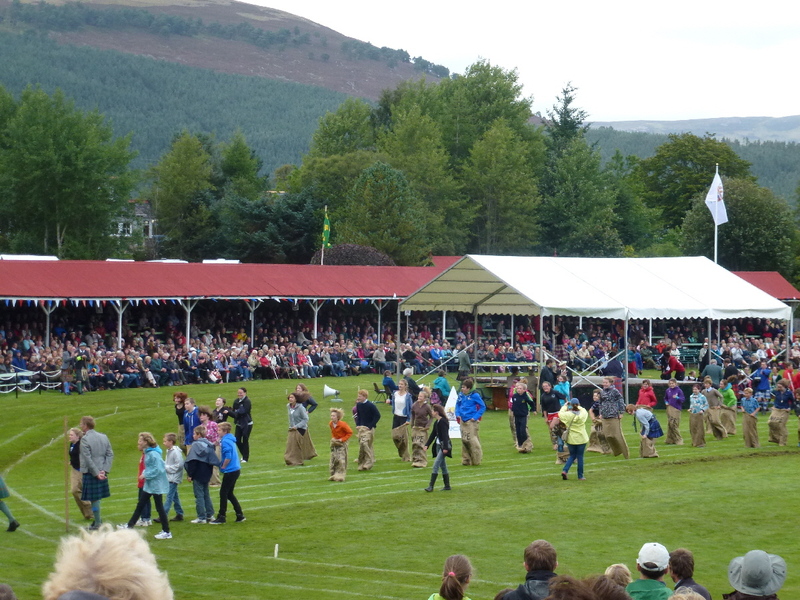 There was talk of going clay pigeon shooting, but instead we decided on going to the Braemar Gathering where they were hosting a highland games. 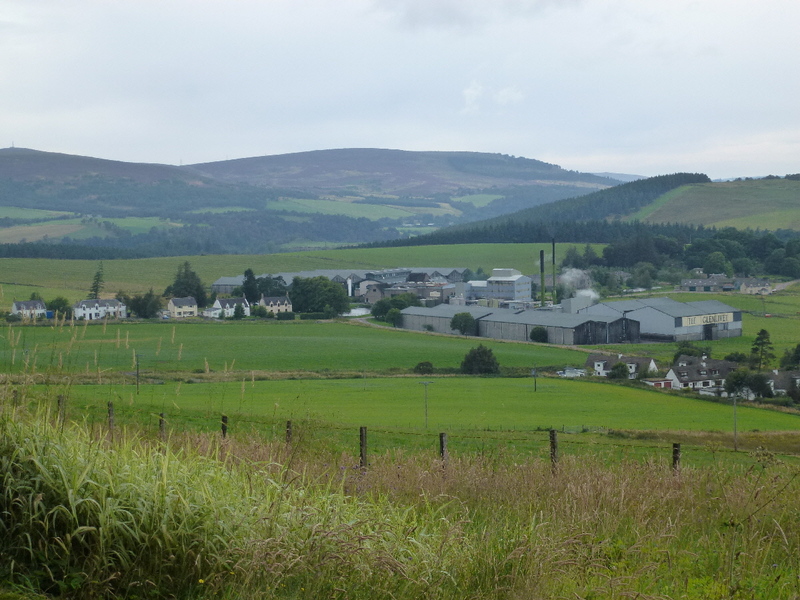 As we drove the hour from Banchory to Braemar we started driving through streets lined with people seemingly awaiting our arrival. 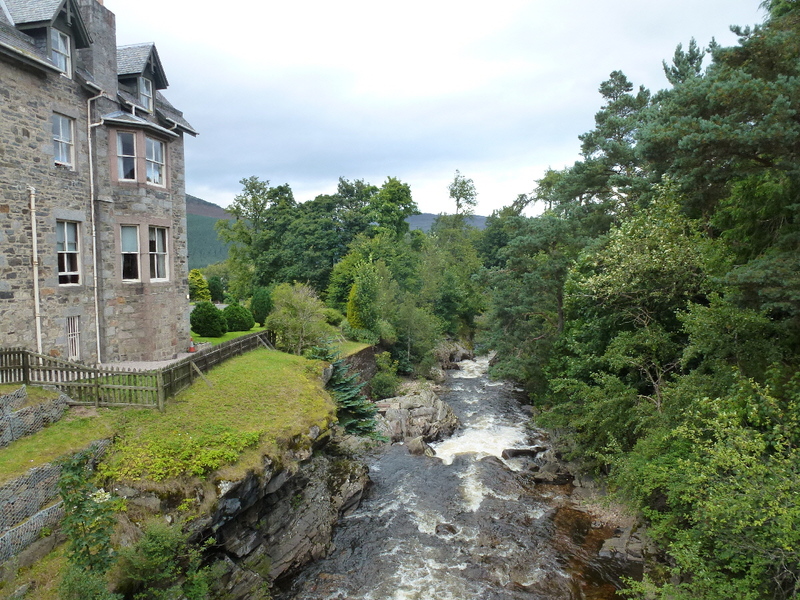 After we ducked into an incredibly convenient parking spot we quickly discovered, somewhat disappointingly, that this was not how Braemar welcomes Canadian visitors, but rather it is how they welcome Queen Elizabeth II, Prince Phillip, Prince Charles and Camilla. 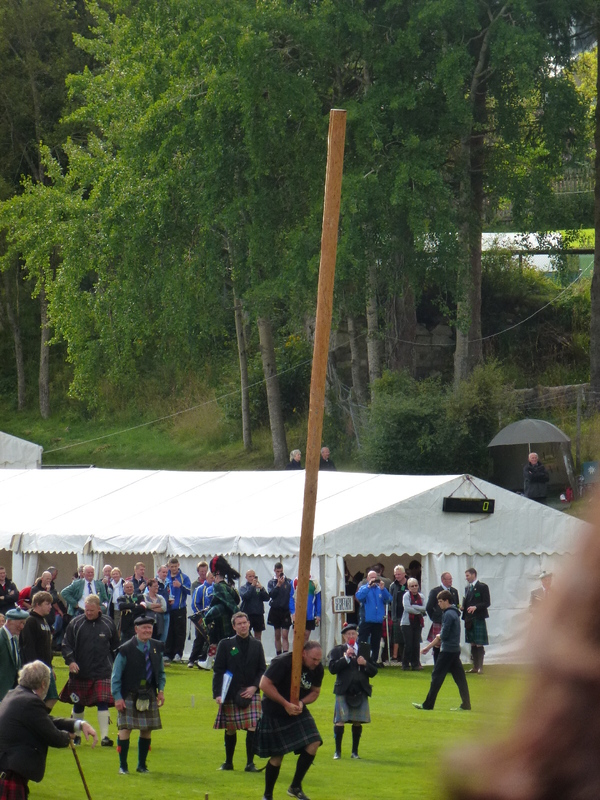 As we entered the grounds to watch the caber toss, tug of war, 80 metre run and the sack race, the royalty did the same. 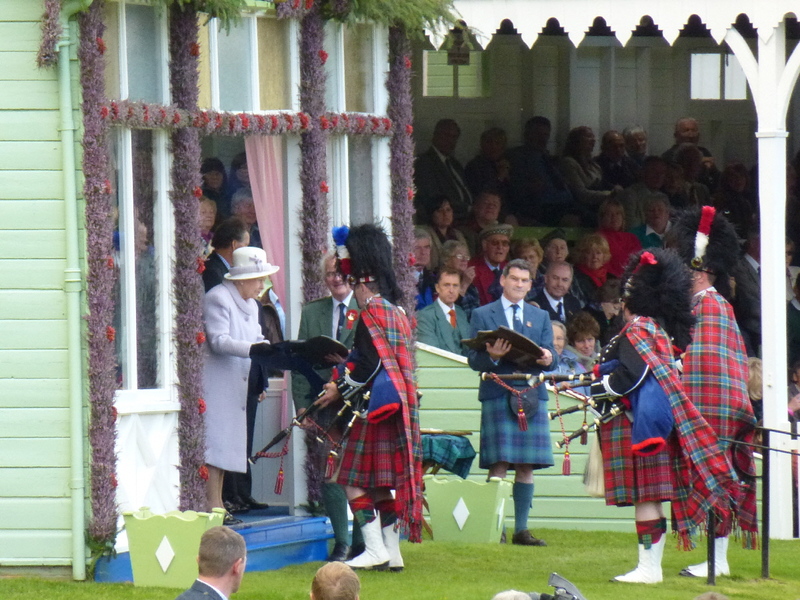 It was quite different than last time I saw the royal family as this one was simply a coincidence. 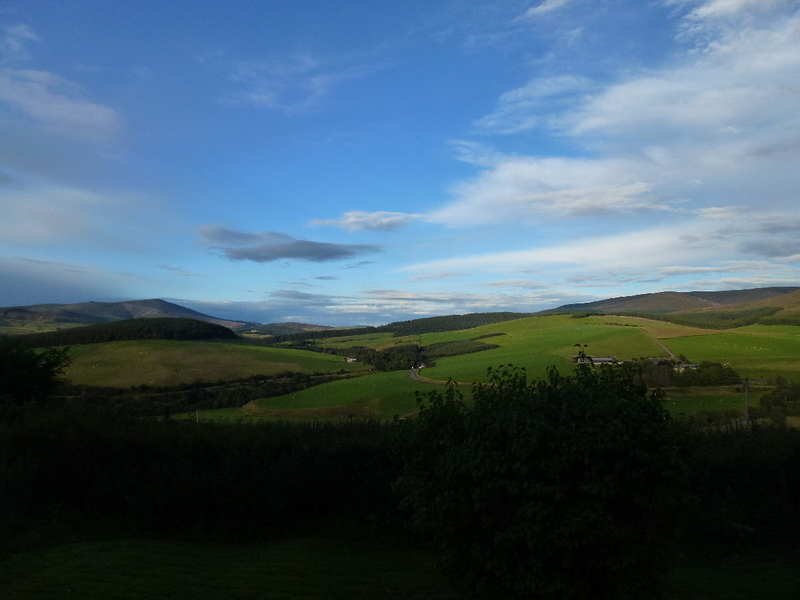 It was a wonderful week in Scotland and I have to say a big thanks to Nicole, Mike, Becky, Ian, Mel, and Abby for making it such a fantastic experience.